Due to manufacturer's restrictions we are unable to ship Gore products to Great Britain. Moving quickly in the mountains during fast hikes or longer trips requires lightweight, adaptive and carefully engineered clothing. This durable, waterproof jacket is made for the ambitious adventurer, who won't be stopped by the weather. 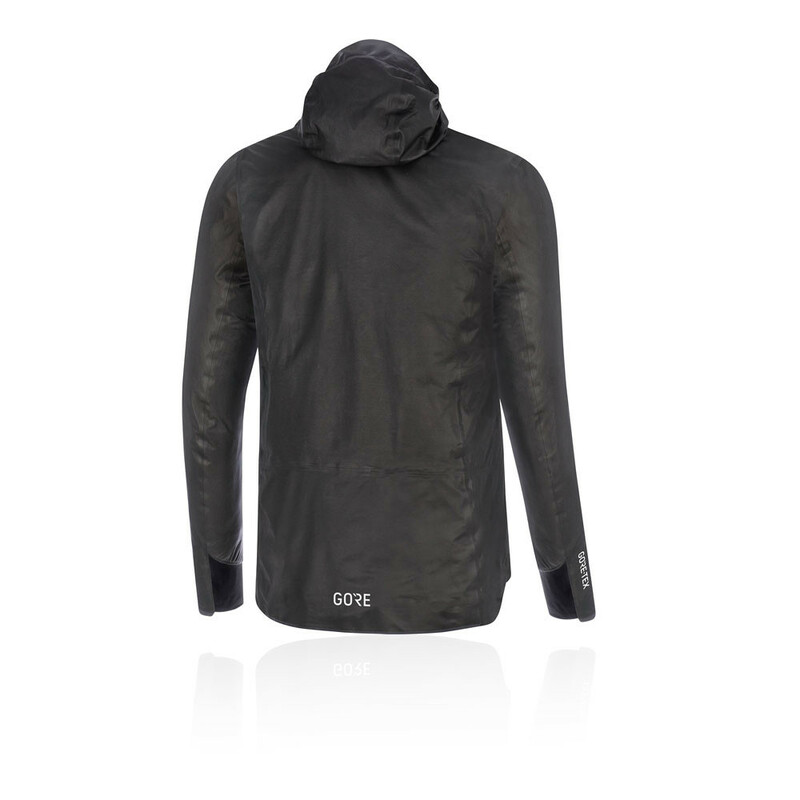 Constructed using a GORE-TEX Active fabrication with ShakeDry the, GORE H5 ShakeDry Hooded Jacket ensures durable protection against wind and rain whilst also remaining highly breathable. To meet the demands of fast hiking in varied weather conditions the fabrication works to protect against harsh winds and rain ensuring you remain warm, dry and comfortable at all times. 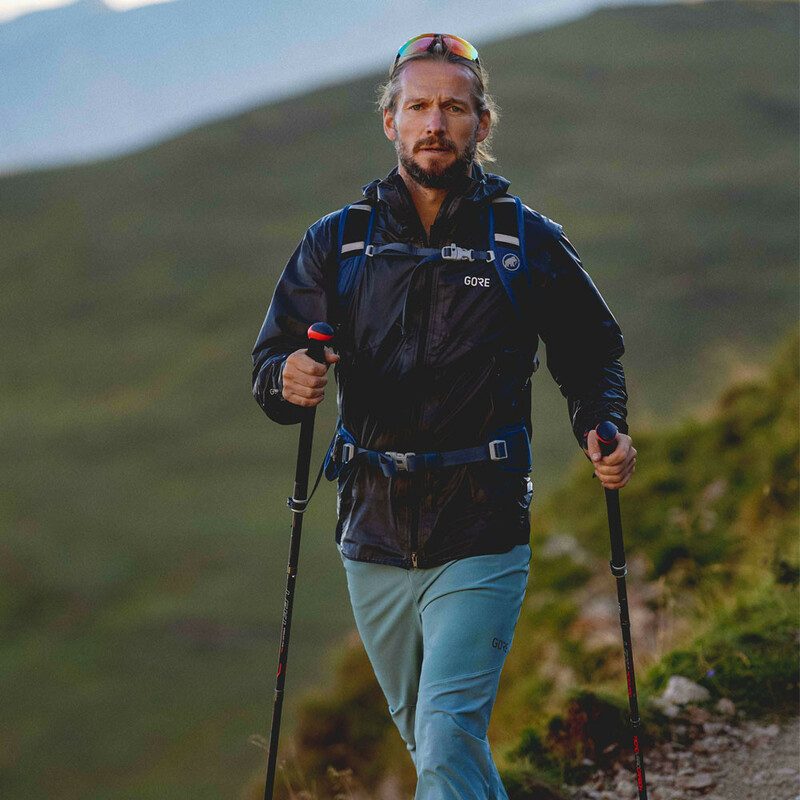 GORE-TEX active is also super breathable and provides excellent moisture management; the fabric allows a steady airflow which works to keep the body feeling cool and comfortable. The fabric works to wick sweat away from the skin for quick evaporation. 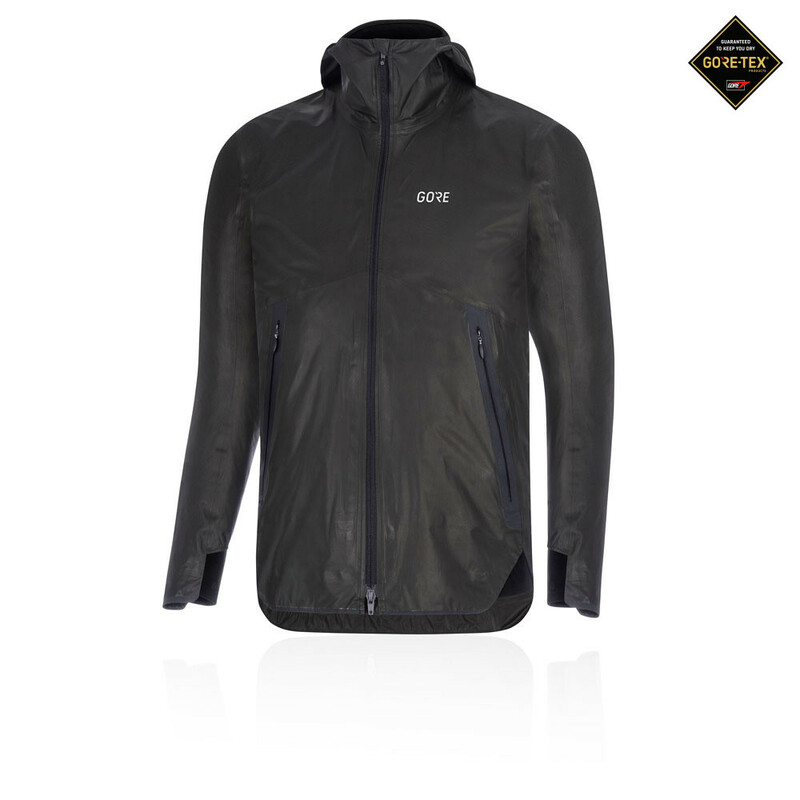 A persistent beading surface on the face fabric ensures additional weather protection; water is simply repelled away from the reducing the chilling effect and ensuring a minimal weight gain. ShakeDry technology is specially designed to keep your body warmer during recovery, even in cold and windy conditions, they are also designed to be super light and have a low pack volume. So you can keep it on without it weighing you down. A form fit is designed to be slim fitting but not too tight, it ensures a sporting silhouette without hugging the body so your movements remain unrestricted. An abrasion and tear resistant fabric has been used to ensure long lasting durability; the jacket can withstand tears and resists abrasion allowing for perfect pairing with a light backpack. A reduction in shoulder seams also increases comfort when wearing a backpack as it decreases the chances of chafing and irritation. The low profile hood offers extra protection against bitter chills and harsh rain whilst the elastic facing and drawcord on the back provides an adjustable, snug-fitting hood. Partial elastic cuffs and a hidden waist gaiter offers a secure fit to lock out cold and moisture. A drawcord at the waist chinches down while preventing the jacket from bunching at the waist, plus a shaped waist hemline with stretchable inserts move with you when hiking or running. A full zip exists for complete temperature control, it can be worn up to seal in the heat and zipped down to release an intolerable heat build up. Two large front zip pockets can be used to store essential items and can also be used as an additional venting option. Lastly, reflective details on all sides provide 360-degree reflectivity ensuring you're always seen by passing vehicles in low light conditions. When creating functional apparel systems for dedicated runners and cyclists, Gore ask themselves one question: does this product make life easier for the athlete? If there is no clear answer they go back to the drawing board. With this experience, Gore design unique, sport specific solutions and are always ahead of the curve. But it's also their belief that to truly develop great products it's not enough to rely solely on science, they must also understand the people who use them. Gore think that extensive testing, both on the field and in their own prototype lab is the only way to create apparel that lives up to the GORE BIKE WEAR and GORE RUNNING WEAR brand. Gore enable runners and cyclists to push themselves to the next level and to reach new heights and celebrate successes. To Gore, there is nothing better. 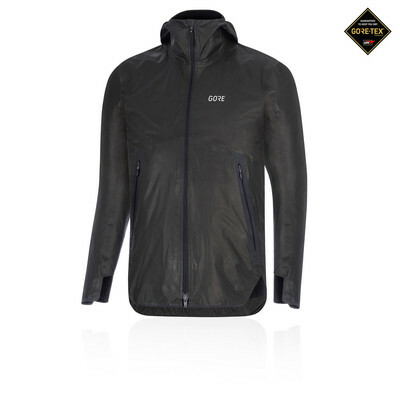 GORE-TEX ShakeDry - Ensures durable, lightweight and breathable protection against harsh weather conditions. Moisture Management - Wicks sweat and dries fast to keep you cool dry and comfortable. Persistent Beading - Repels water away the surface of the jacket. 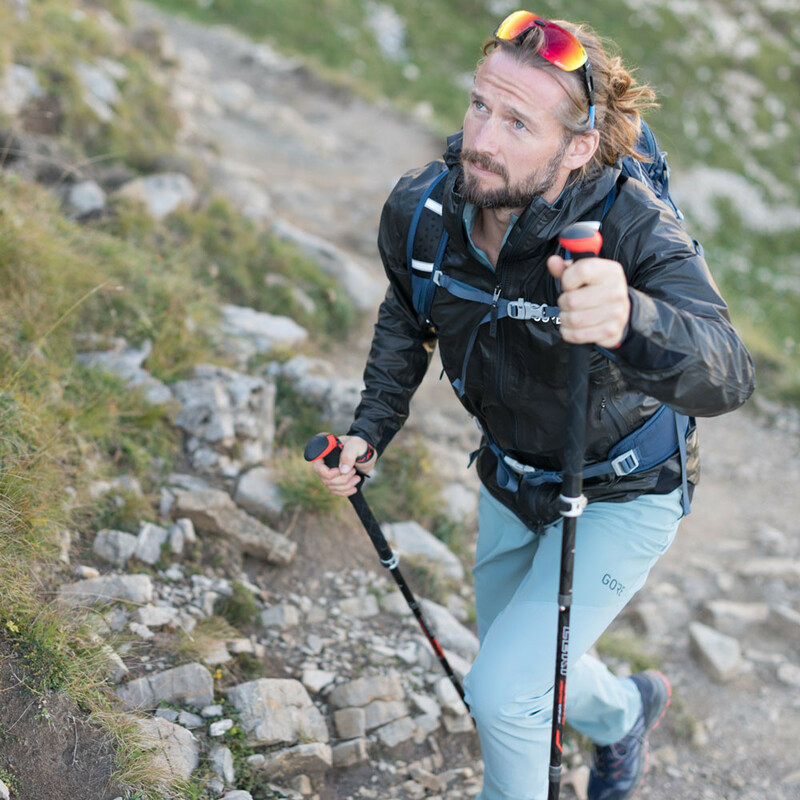 Lightweight Packability - Is designed to be super light and have a low pack volume. FormFit - Ensures a sporting silhouette than doesn't cling to the body. Abrasion Resistant - Prevents wearing against harsh fabrics. Tear Resistant - Reduces the risks of tearing. Reduced Shoulder Seams - Prevents chafing and irritability. Low Profile Hood - Provides added weather protection and can be adjusted for a snug fit. Elastic Cuffs and Waist Gaiter - Help to seal in heat and locks out the cold. Drawcord Waist - Prevents the jacket from bunching at the waist. Shaped Waist Hemline - Allows for an increased range of motion. Full Zip - Exists for your complete adjustable comfort. Front Zip Pockets - Can be used to store your essential items. Reflective Details - Provides 360-degree reflectivity for late night adventures.